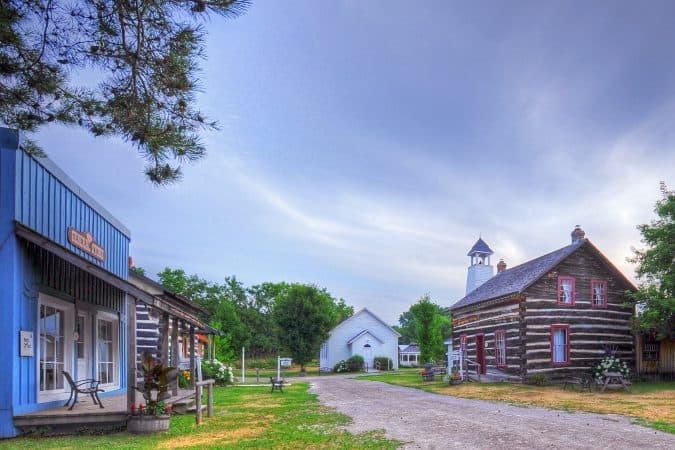 What was once a thriving family farm, Kawartha Settlers’ Village is now home to a fascinating collection of over 20 historic homes and buildings. Experience what life was like for pioneers in the Kawartha’s as you stroll leisurely through the Village and discover artifacts from 1830 – 1935. Kawartha Settlers’ Village which was established in 1990 with the goal to preserve the history and culture of the Bobcaygeon area which was slowly disappearing. Today, the Village is run by the Kawartha Region Arts and Heritage Society. Take a walk on the wild side…..
Come visit our Nature Trail and Environmental Park with a myriad of plant-life, wild flowers, trees and shrubs. Also, a great area for bird watchers as a wide variety of birds found in the Kawartha’s may be spotted throughout the year. The Nature Trail on the same site as Kawartha Settlers’ Village, meanders around the perimeter, so as you stroll along you will catch glimpses of log homes and historic buildings – and perhaps a sketcher or two – adding to the tranquil atmosphere. Many different groups meet at Kawartha Settlers’ Village and use the Henderson House and Wray House as their meeting place. Kawartha Settlers’ Village could not survive without the support of the groups and new members are always welcome! Tours are also conducted of our Settlers’ School House, Blacksmith Shop, General Store, and more (time permitting). Kawartha Settlers’ Village is a hands-on history lesson, where children can learn how their pioneer Grandparents and Great-Grandparents lived in their younger years. Please come and see what we have to offer, we are sure you will be pleasantly surprised.